Picnic season is upon us. 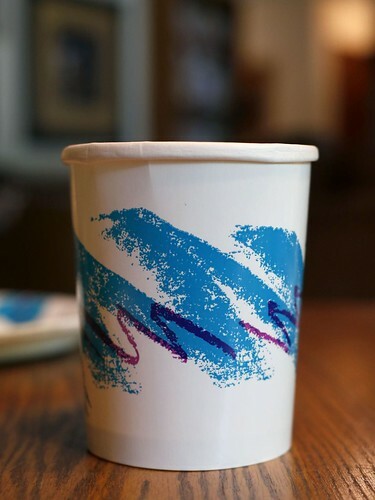 One might wonder whither the ubiquitous design, illustrated above, adorning paper cups and plates in parks and backyards across the nation– Solo’s highest-grossing design ever… In fact, many did wonder, and took to the web to investigate. The crowd made some headway– they discovered it was created by a designer named “Gina”– but it took an intrepid reporter, Thomas Gounley of the Springfield (MO) News-Leader, to get the whole (and fascinating) story. As we have some more potato salad, we might recall that it was on this date in 1880 that O Canada, the song that would become our northern neighbor’s national anthem (de facto by 1939; officially in 1980) was first performed, in French, at the the Congrès national des Canadiens-Français. Commissioned by Lieutenant Governor of Quebec Théodore Robitaille for the Saint-Jean-Baptiste Day ceremony, Calixa Lavallée composed the music, after which words were written by the poet and judge Sir Adolphe-Basile Routhier. English lyrics were created in 1906; but the second English version, created in 1908 by Robert Stanley Weir, were more popular and became the official English lyrics.